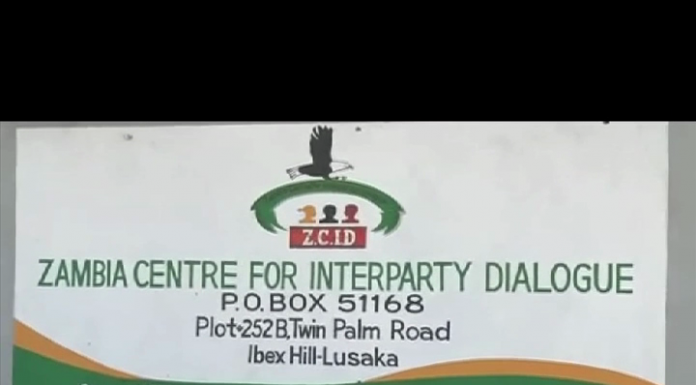 THE Zambia Centre for Interparty Dialogue (ZCID) has said that it will this week meet Church mother bodies to formulate the way forward in the national dialogue. ZCID spokesperson Jackson Silavwe said the Centre welcomes proposals by key stakeholders to create space for the Church to be a part of the dialogue process. Mr Silavwe said the proposals were in line with what was resolved recently when political parties met. “As a board, we have always had plans to include the Church in the process and we have written to the Church so that we can discuss the way forward,” he said.